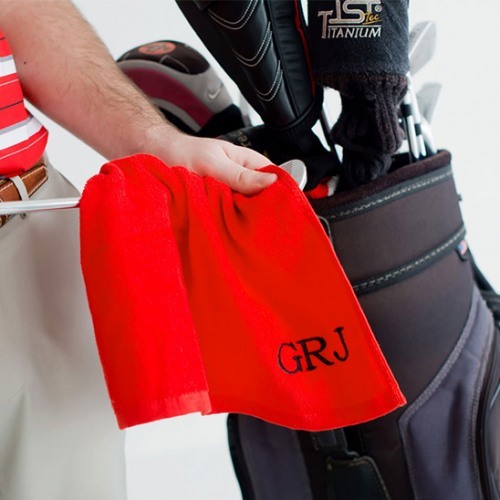 This personalized golf towel makes the perfect gift for any member of your bridal party. Practical and a stylish accessory for any golfer, this towel is made of 100% cotton, includes a clip for easy attachment to golf bags, with his or her monogram in the corner. It's a gift that will be loved abd used time and time again on the golf course.